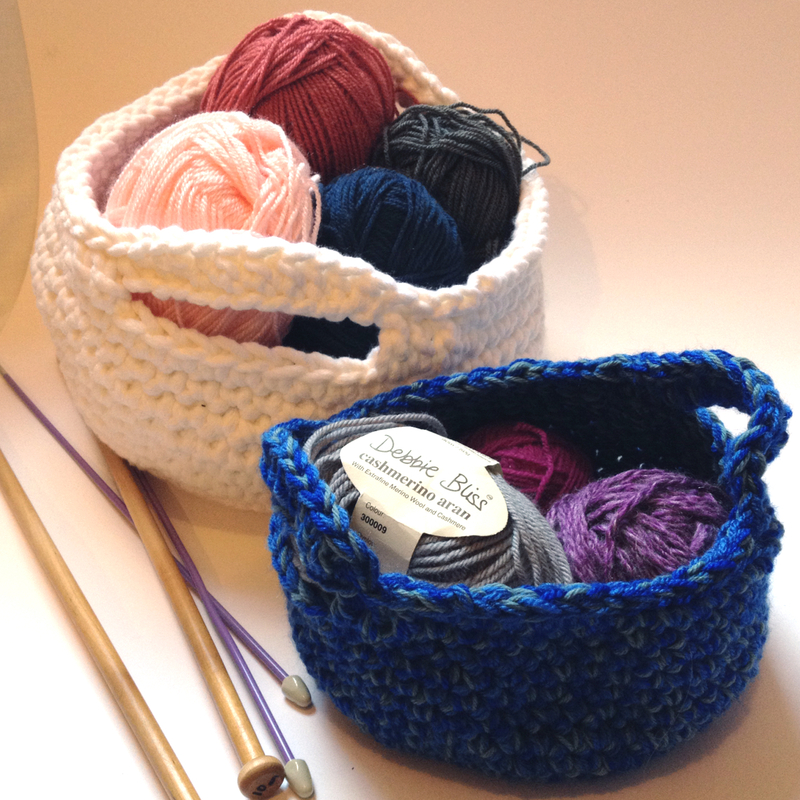 I’ve been working on this pattern for a number of months now, and my sister actually commissioned two of these crochet baskets as Christmas gifts (she filled them with wines and home-made jams and chutneys to make little hampers). I’ve made a few of them now and having had some great feedback I wanted to share a pattern with you! 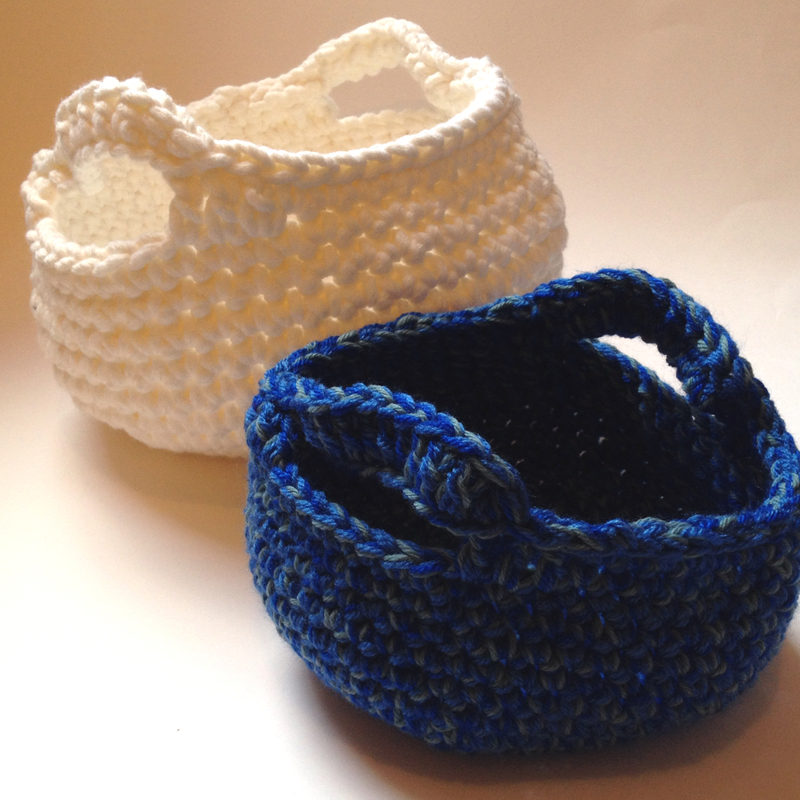 These baskets would make a great home-made touch to any room, plus they have the added bonus of being useful! 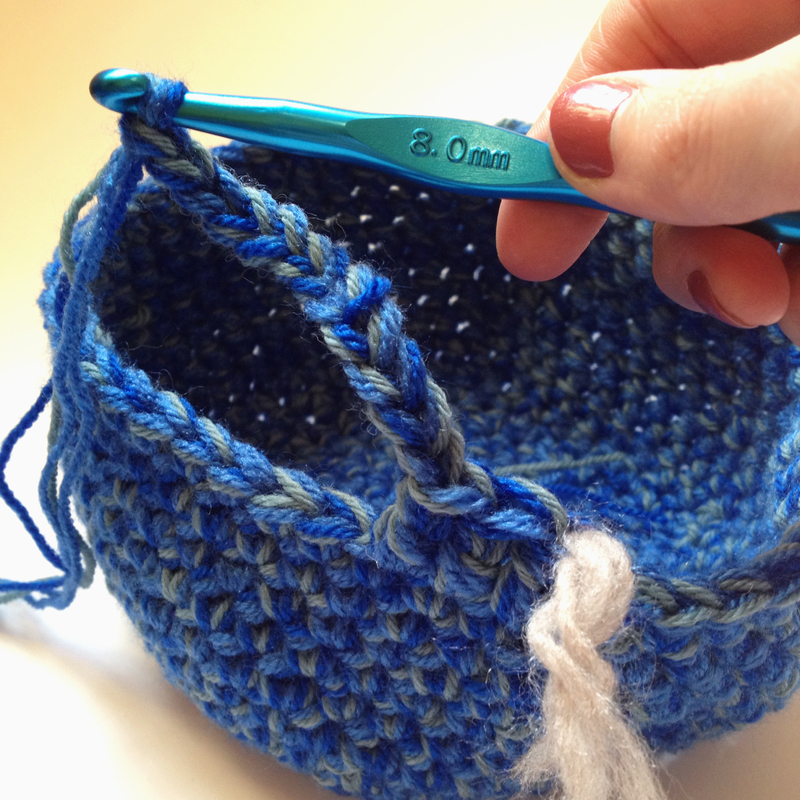 As you need to use 3/4 yarns simultaneously to work up the basket this is also a great project to use up your stash. 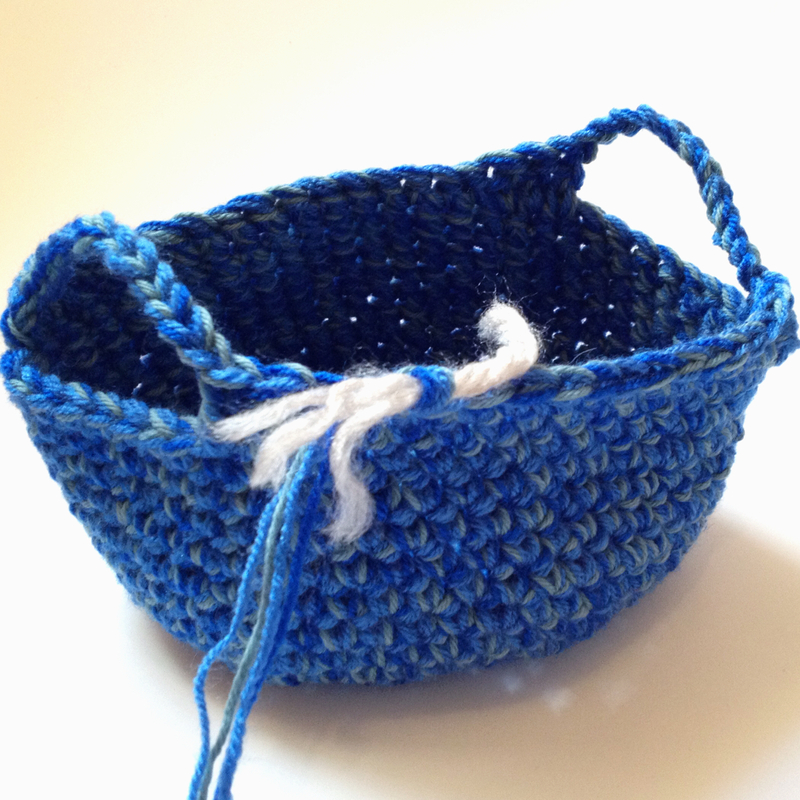 They work up reasonably small, and the ‘sturdiness’ of the basket depends on the material you use. Either reasonably thin, malleable/soft rope (to make the larger white basket pictured, which will hold its own shape better) or 4 skeins of DK and/or Aran weight yarn which will be used simultaneously (to make the smaller blue basket pictured, which is a lot softer but ideal for storing soft items like wool or your current WIP). 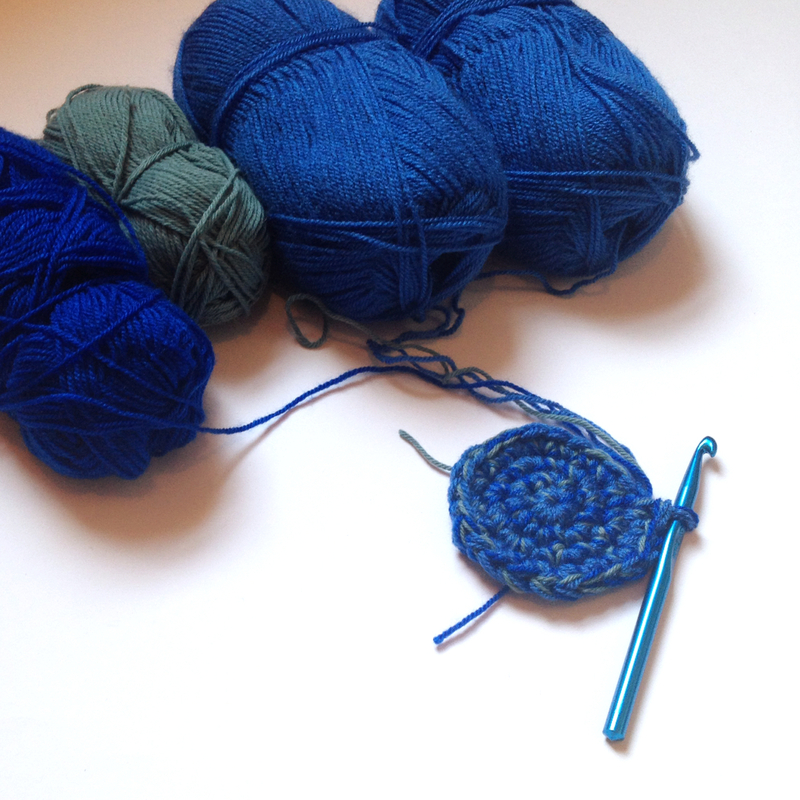 3 skeins of chunky/super chunky yarn would also work well instead of rope. 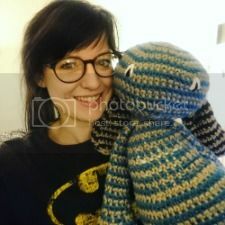 You may remember that at the beginning of this month I mentioned that I had been busy knitting/crocheting up an increasing number of commissions. 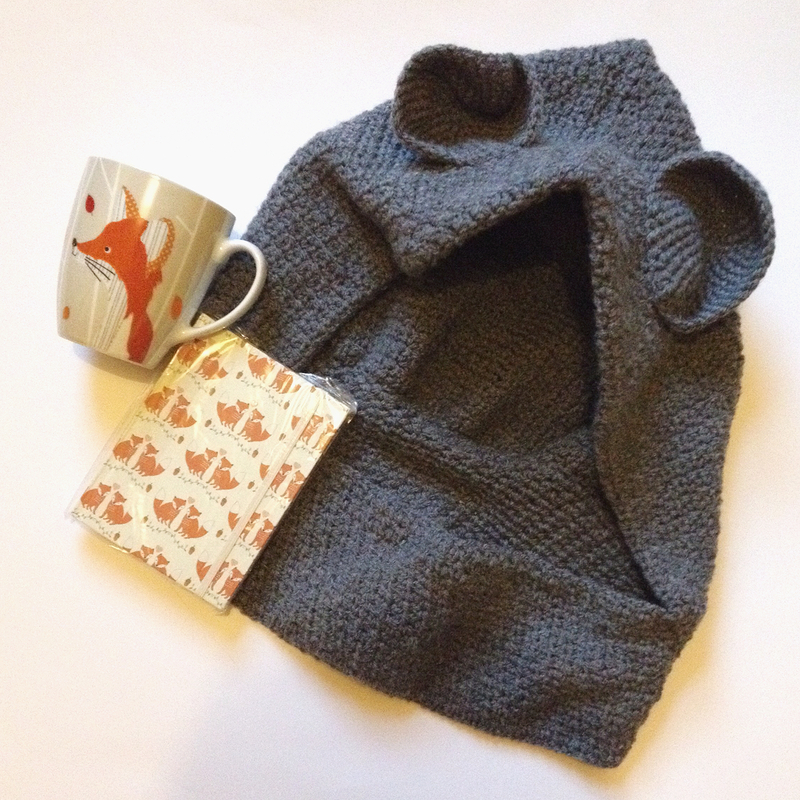 Today I actually delivered my final knitted order before Christmas and it feels like as good a time as any to let you know what I've been up to! Following the craft fair that I tried last month I had a lot of things left over that I hadn't sold. K told me that she had been talking me, my blog, and the things that I make, up at her work and asked if she could take some of my left over items in to show some interested people - erm, of course yes please! And so she did and she did such a marvellous job! I was so touched I never asked her to do this you must understand, but K took it to a whole new level and by the end of the week we had discussed prices, order taking, what I was willing to make and she had even taken upwards of £40 worth of orders/sales on my behalf! All this as well as asking in various places at work if she could leave my business cards. After a month of orders I made enough profit to buy a pair of UGG boots, pay for this blog's URL and even this blog redesign! It even got to the point where I had to ask K to stop taking orders. It's just been such a wonderful compliment and it is something I would be very happy to continue doing, particularly because it gives my crafting a lot of direction and motivation (not that I was necessarily lacking in that before - but it feels a little bit more 'constructive'[?]) and it is very very flattering. If you are interested in a commission do feel free to get in touch via one of the methods on the right there :) but I should say I am not thinking of knitting any more until after New Year at this point! 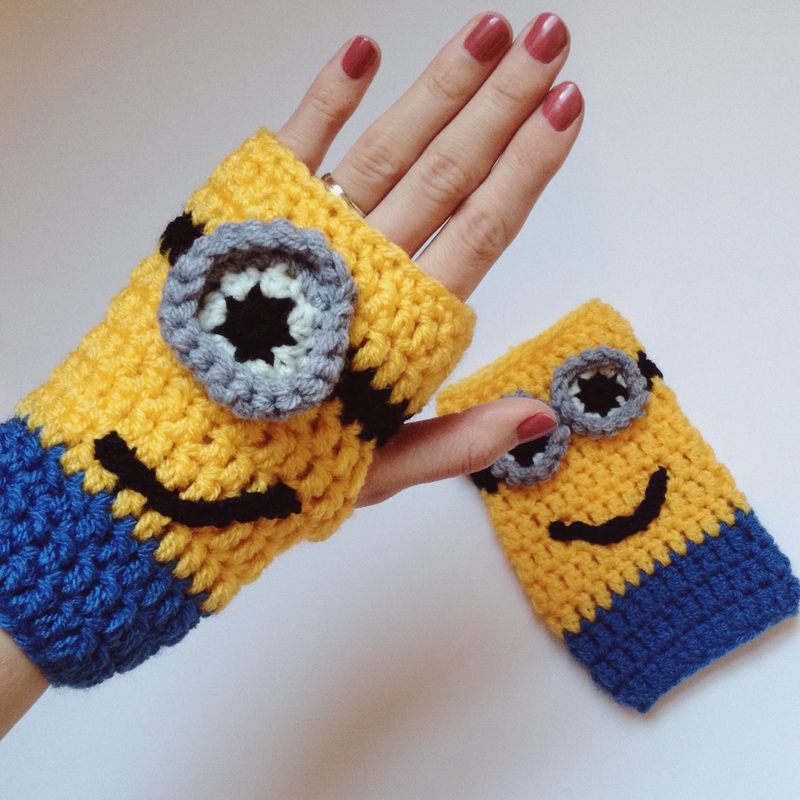 Do you like to knit/crochet to sell? 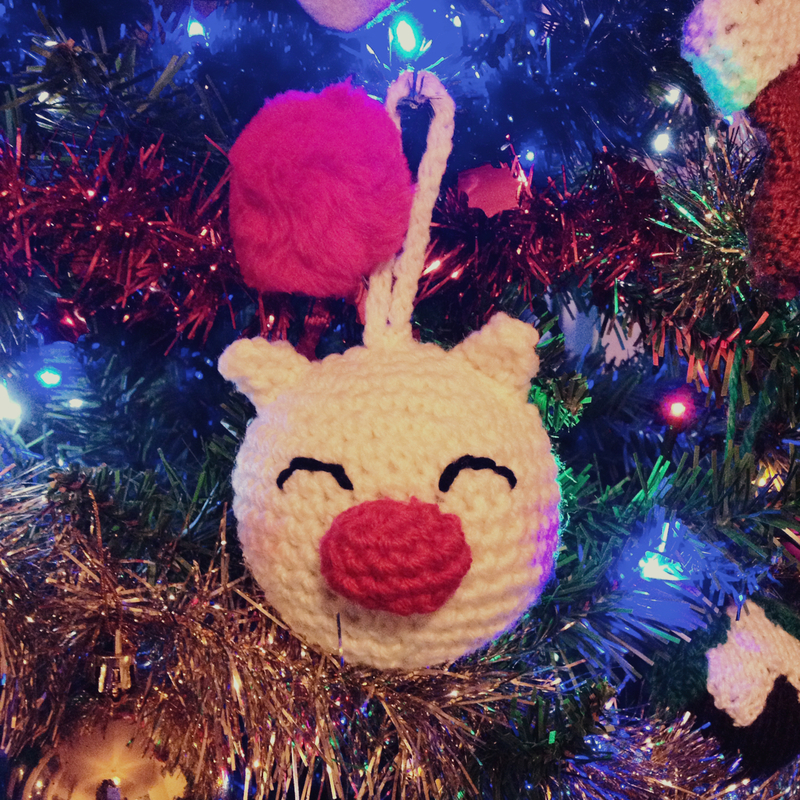 I mentioned in my previous post that I had an idea for a Final Fantasy Christmas decoration floating around in my head and here it is - a moogle Christmas tree decoration! 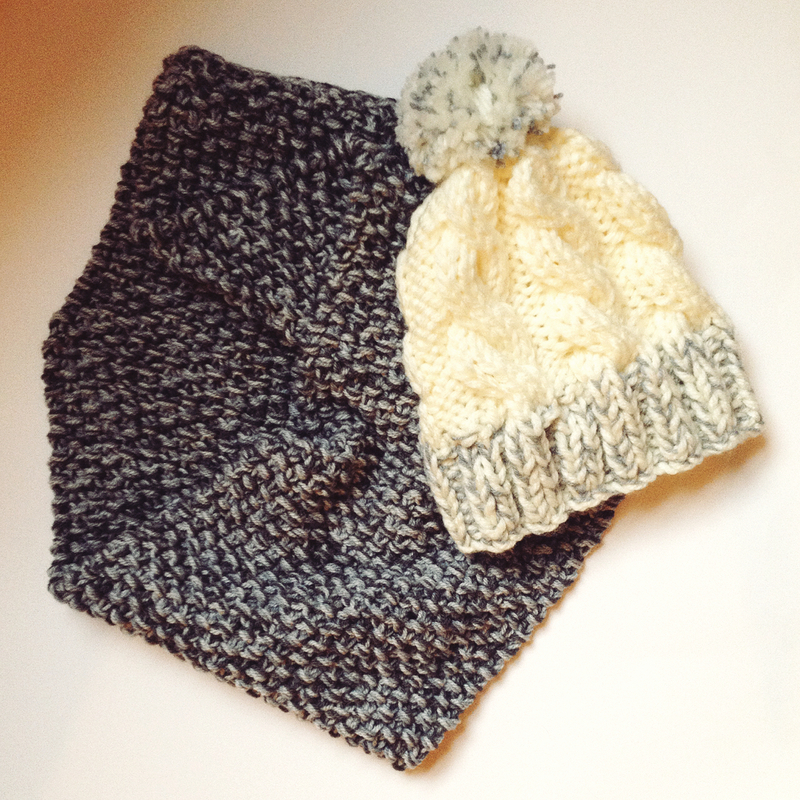 And I've written a free pattern to go with it should you wish to make one yourself. Truth be told the inspiration for this decoration came from a blog post from The Pryeflies blog. 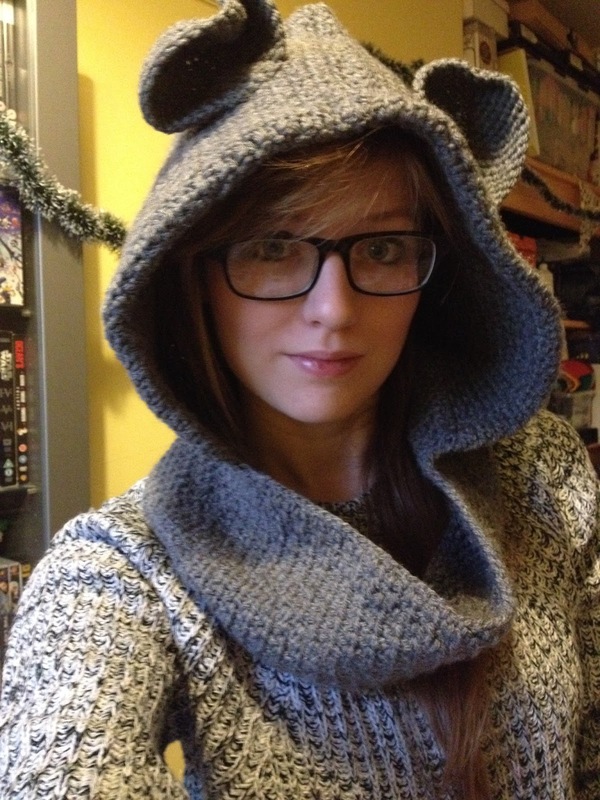 Jessica shared some amazing geek-themed Christmas items and as soon as I saw the moogle bauble I wanted one! 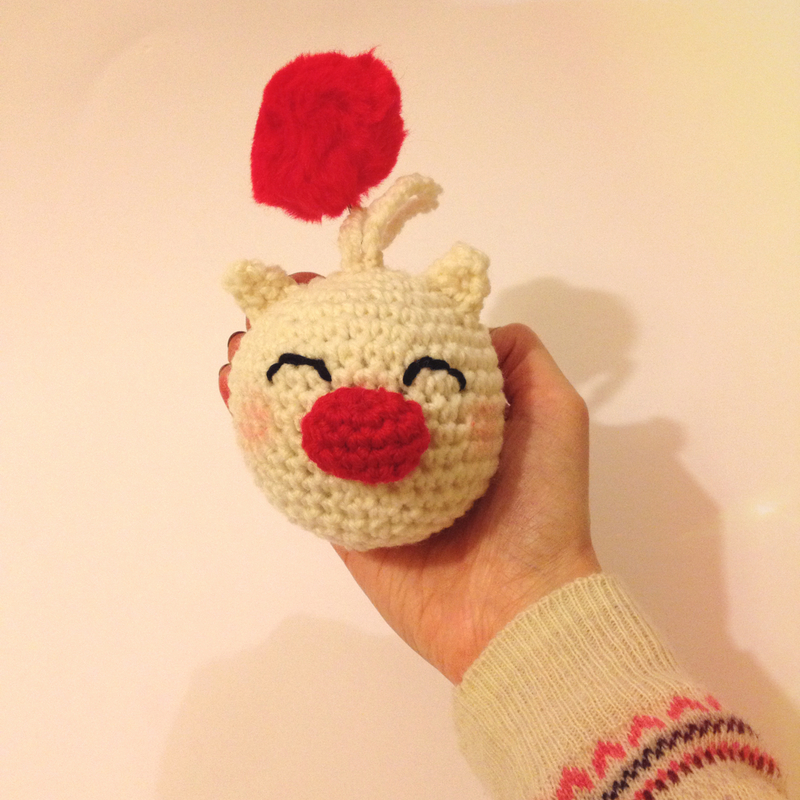 Of course I wouldn't want to take away any sales from the person who originally painted a bauble to look like a moogle, so if you can't crochet and would like one yourself why not buy one from here. fasten off, sew the hole shut and also sew a stitch from the bottom of the nose through to the top (holding nose horizontally) in order to hold its sausage shape! And there you have it! My moogle is currently sitting proudly next to the tardis Christmas tree decoration I made last month! The moogle will work up quite quickly and can be made using bits you already have lying around in your craft supplies - an ideal last minute gift for the Final Fantasy fan in your life. It also is just 'not Christmassy' enough that it can decorate any fan's room all year round! 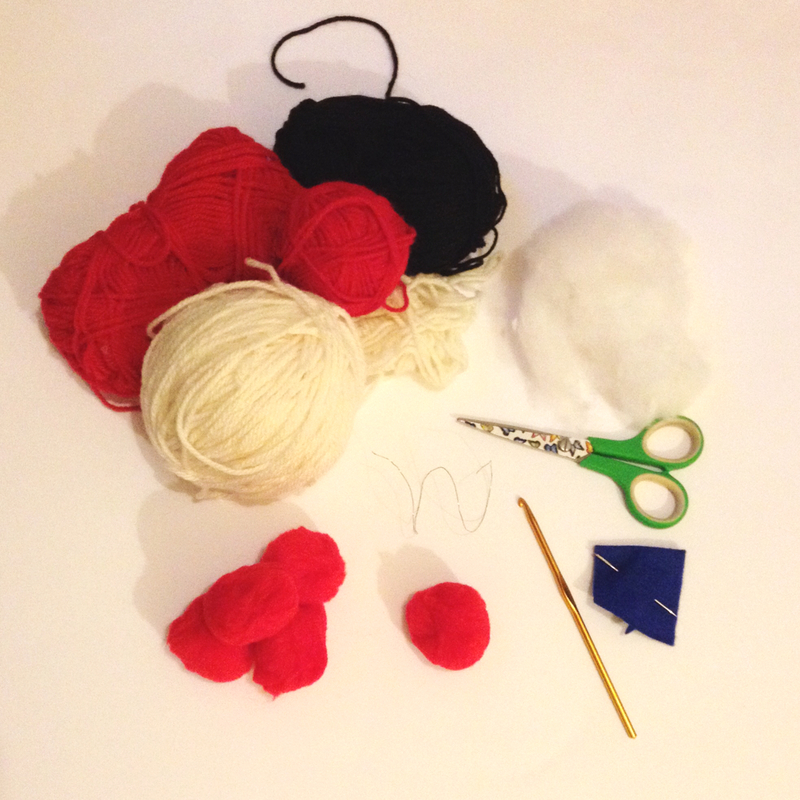 If you want to add a little more sparkle why not invest in some tinsley pom poms to replace the plain red one, or even sew a mini-Christmas hat in between his ears? 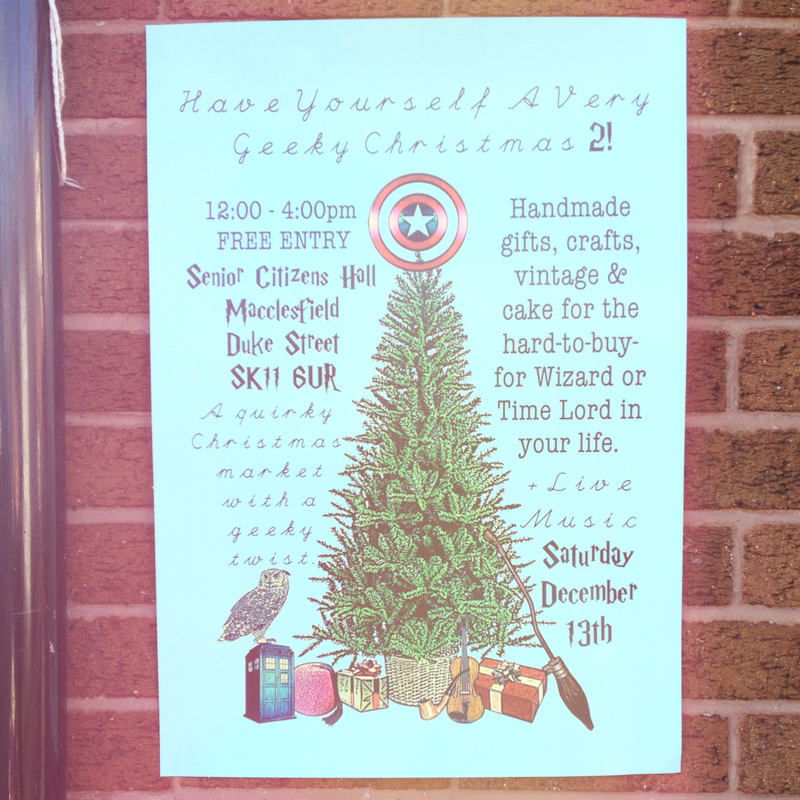 On Saturday I caught the train to Macclesfield to visit a geek themed craft fair – Have Yourself a Very Geeky Christmas (HYAVGC). HYAVGC followed me on Twitter a couple of months ago, and once I read their description and saw their location – just a train ride away for under £5 – I thought I would love to go! 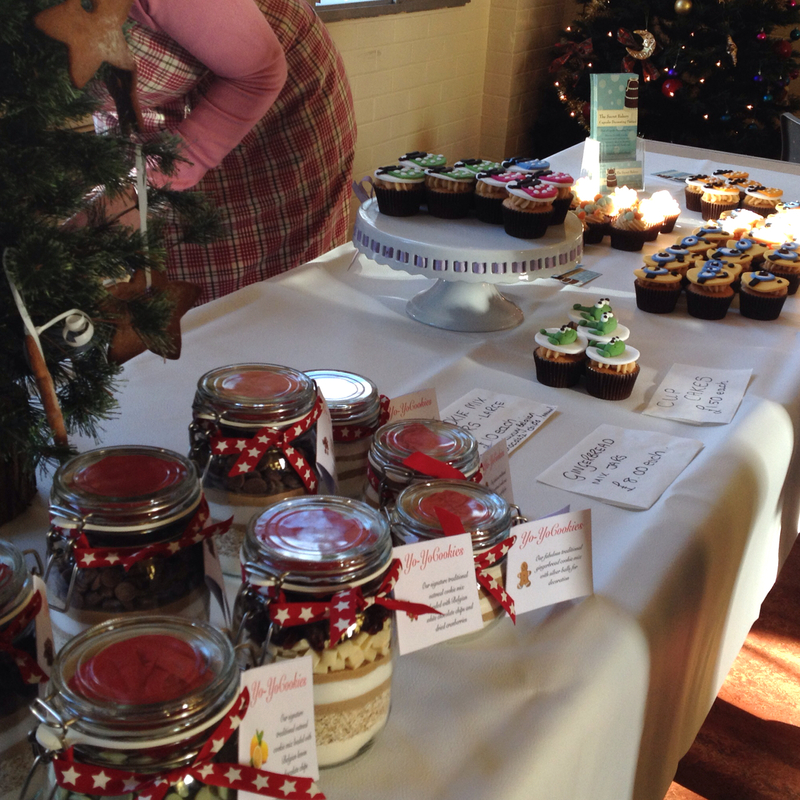 The fair was quite small and was held in the Senior Citizens hall in the town centre. 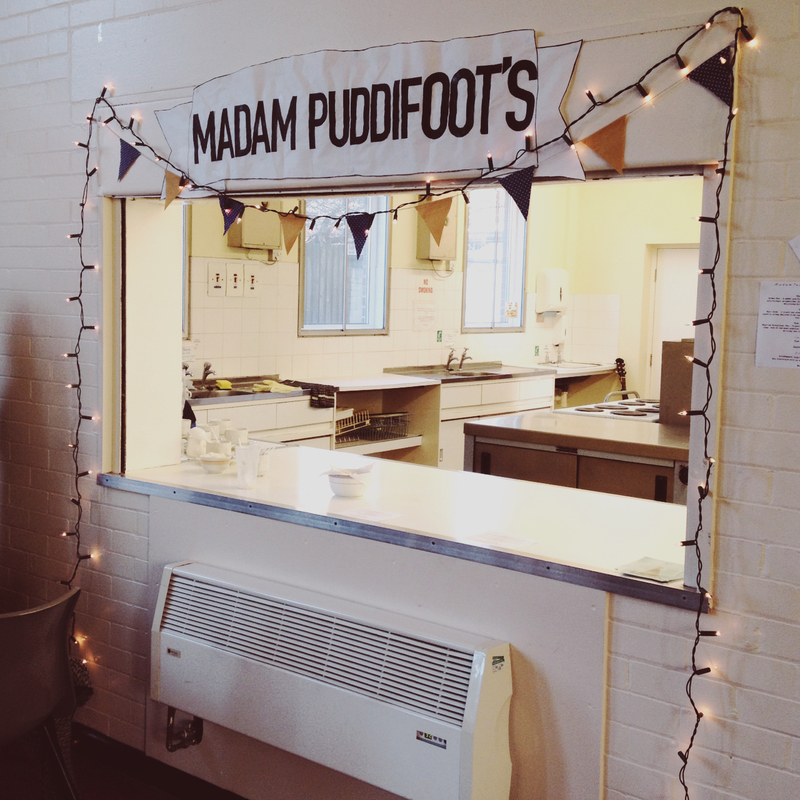 Although small it was clear a lot of thought and effort had gone into the theme and planning of the fair, with excellent subtle decorations dotted round such as ‘Vote Saxon’ posters, renaming the little tuck shop ‘Madam Puddifoot’s’, and some obligatory Hogwart’s house posters too. They even had a geek ‘photo booth’ but as I went alone I didn’t fancy that! 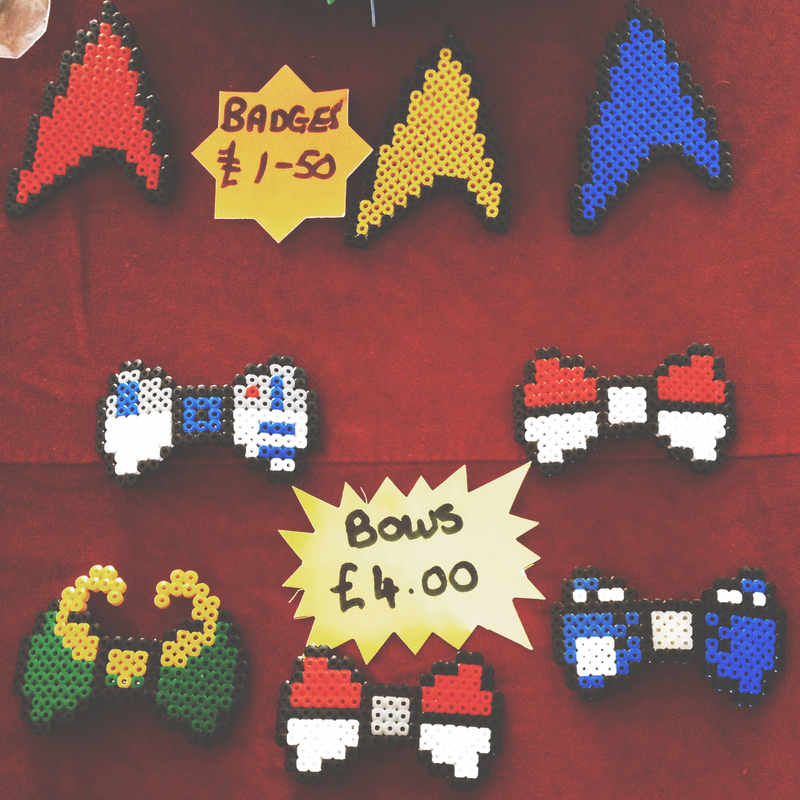 Every stall had a geek theme to it. 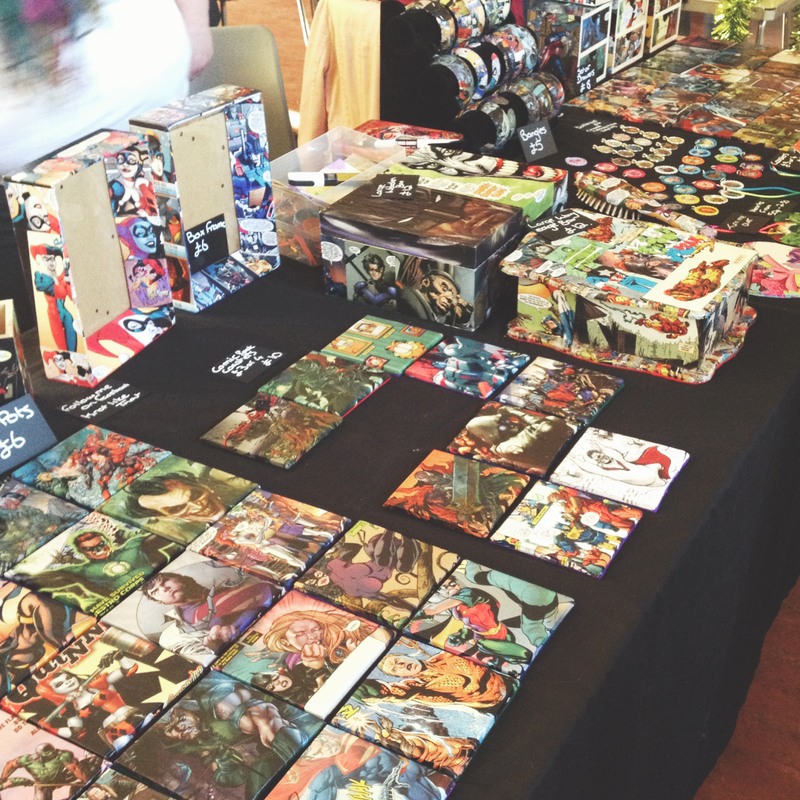 There was an independent comic artist (Marc Makes Comics! ), a stall that made geeky sock monkeys (All Things Sock), another that made home accessories such as coasters and little shelves from comic book pages (Knot Like That), and a local owl sanctuary was even on hand to introduce you to some owls, though unfortunately I didn’t spot a snowy white. This is only a few of perhaps the dozen or so stalls on offer at the fair. 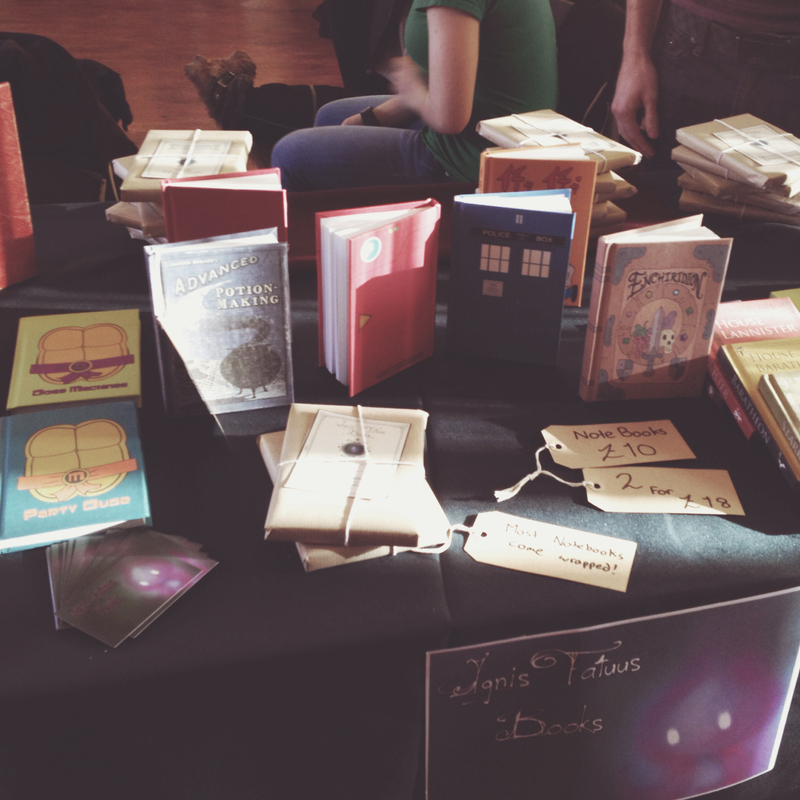 All in all the craft fair was very interesting, and I was very sorry that I didn’t have more money to spend! It was good that it was around Christmas time as it was clear a lot of the foot traffic was there gift shopping, and truthfully a lot of the things on offer I was only considering as gifts (not being able to justify, nor necessarily desiring, any of the items for myself – but of course this is all down to personal taste and everything was beautiful!). 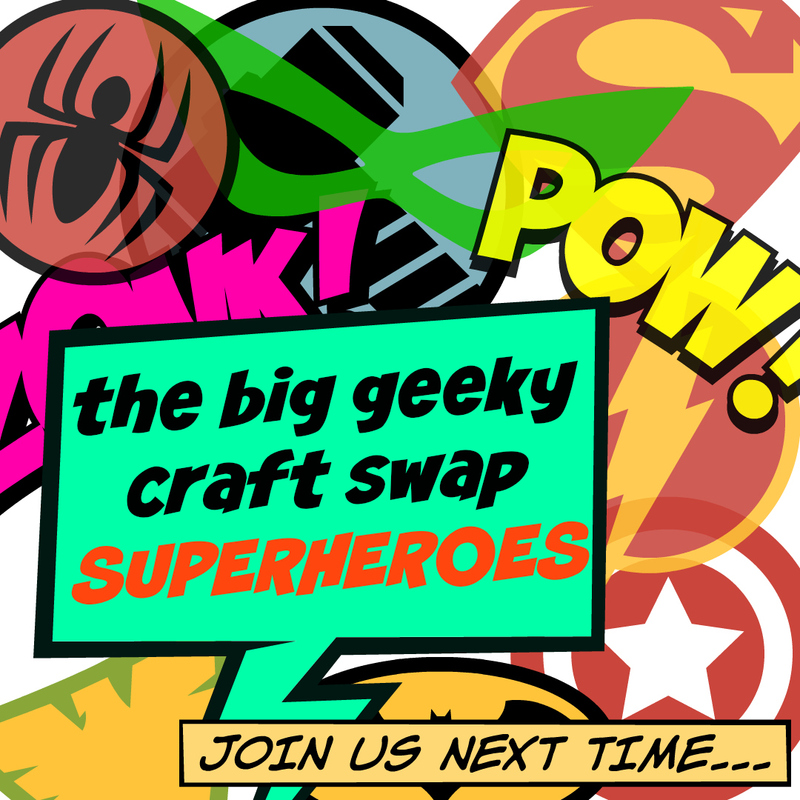 But I am really happy that I went as I feel very inspired to make some crafty/geeky things of my own – though I will not be copying any ideas directly, instead why not check out all the links I’ve shared of people who were selling at the fair? 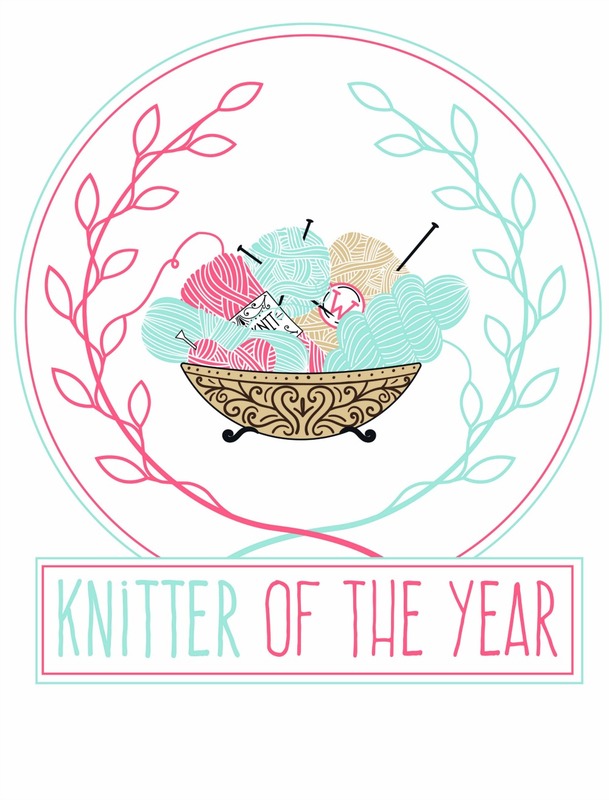 As I aim to share as much knitting, crochet, and other crafts that I get up to on this blog it is only logical that I should also write something about my mum - the biggest inspiration for my crafting and the most avid and enthusiastic crafter/woman I've ever had the joy to know! This is a post that I’ve wanted to write for a long time, and I have so many things I want to tell you about her, but writing this hasn’t come as easily as I first thought, probably because I just want to make sure I get it as right as I possibly can. You see, devastatingly, she passed away just over 4 years ago. 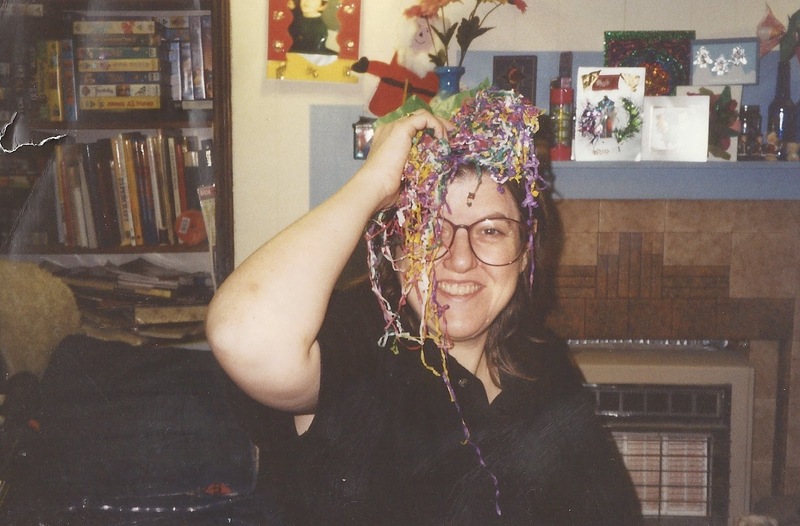 I think about her every day but since starting this blog back in March about all the knitting and crochet I love to do I've been thinking about her even more. I like to imagine her enthusiasm for this which I know she would have shared with me. Perhaps she might have even written a contribution now and then. She was huge on all things crafty and liked to share her passion online in forums and emails. A particular favourite of hers was the beautifully named Green Sock on Left Foot on Tuesday online club - or GSOLFOT for short - for people who make miniature crafts, where every member was given a title and an imaginary tower to house their digital offices in - aren't crafty folk amazing? Mum was always a smiling, patient, caring, warm, talented, beautiful woman who was unrelenting in her creativity. 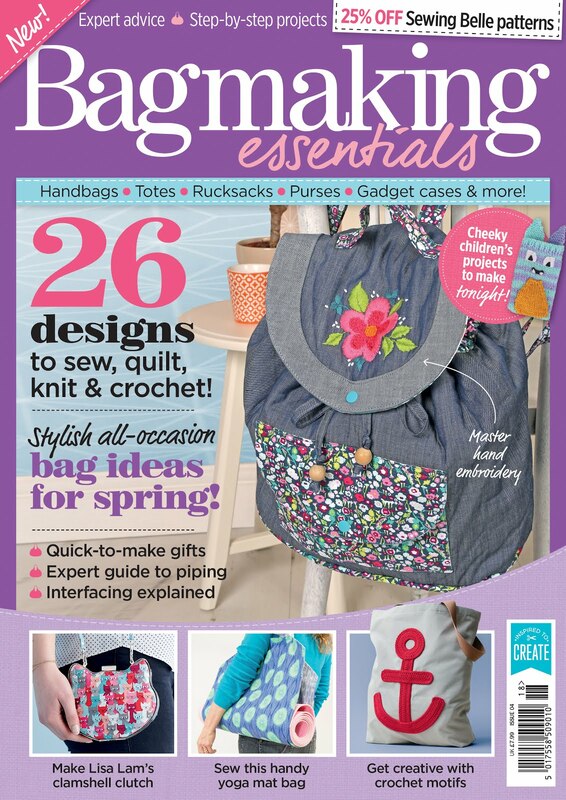 If only I could show you the back room in our house 4 years ago, with piles of craft supplies from floor to ceiling, and you could perhaps begin to grasp the edges of an idea of her love for crafting! This rubbed off on all of us kids in our various ways, but it was only since she has gone that I seem to have increased my passion tenfold for crafting, having discovered knitting and crochet. This, truthfully, does make me a little sad, because I can't help but feel that every time I learn a new technique, or make a sale, or even just write a particularly good blog post, that mum would have been so excited and proud. But mostly it makes me really happy. 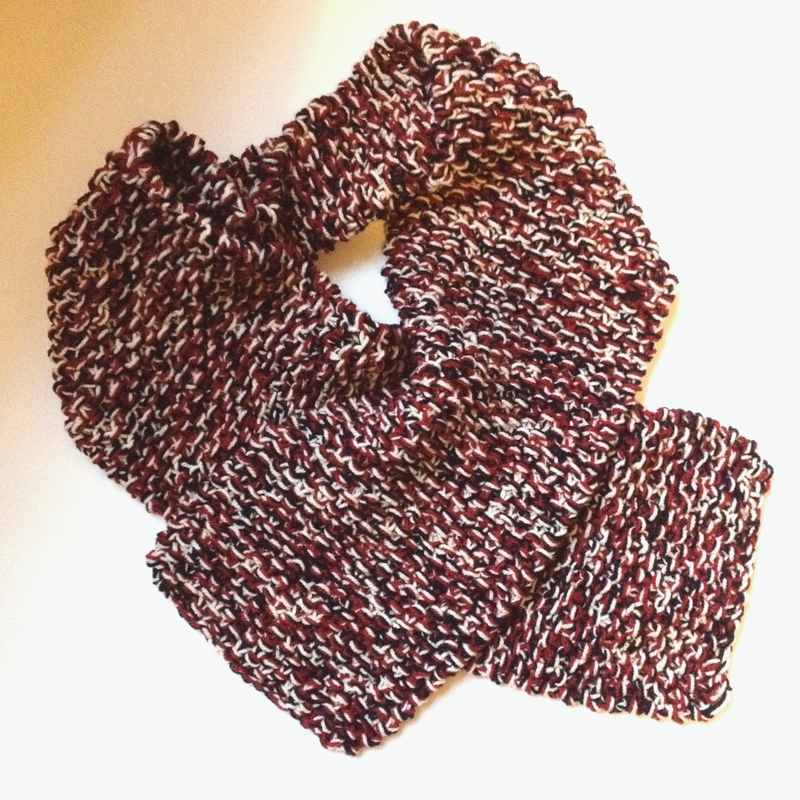 This blog, and everything I make, in its own way is a testament to my mum and the creativity that she has passed down to me, and also my sister (who recently learned to knit) and my two brothers. Dad too has always been very creative with his modelling and he enjoys reading my blog (I like that we are a creative family! ), and I do make sure to show him things that I’m making/working on. It makes us all smile to say that mum would have liked something, like when we went to see the new Paddington film just the other day - she would have loved that! I’m fairly certain that mum had at least sampled all the crafts you could possibly imagine (and we still almost have all of the tools to do them at home – at least 75% of my yarn stash used to be mums). She became extremely proficient in sewing delicate miniature bears/animals with mohair, and also attended a weekly adult sculpture class at the college near our house. You can see how marvellous she was in these pictures, again only the tip of the iceberg of the sorts of things she would make! Kingdom Hearts is my absolute favourite series of games, with the first Playstation2 game being released in 2002 and I think I owned and played it not long after its initial European release. Since then there has been a string of sequels and spin-offs, growing the story of Sora and the keyblade in a world with interactions with Disney lands and Final Fantasy characters - basically a dream come true game wise (at least for me!). Of the 8 game titles, my favourites are easily Kingdom Hearts 2 and Kingdom Hearts: Birth By Sleep and to my delight they announced last year that Square Enix would be releasing the HD Final Mix versions of these games this December as Kingdom Hearts HD 2.5 Final Mix (further to the release of Kingdom Hearts HD 1.5 Remix last year - originally thought to be an exclusive Japanese release many years ago). Or in fact 2 days ago, and mine arrived in the post the very same day! 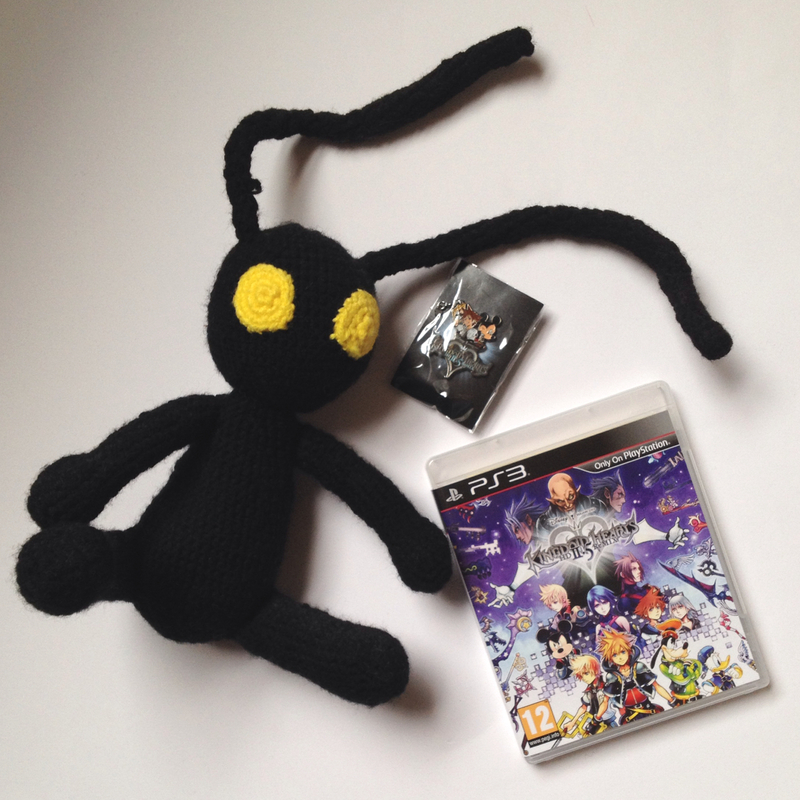 I've now got the game, with a free Kingdom Hearts pin too (wit woo) and before I hole myself up in my room with my PS3 for the foreseeable future I wanted to share with you some Kingdom Hearts crochet that I made not long after I learned to crochet for the first time just over 2 years ago. 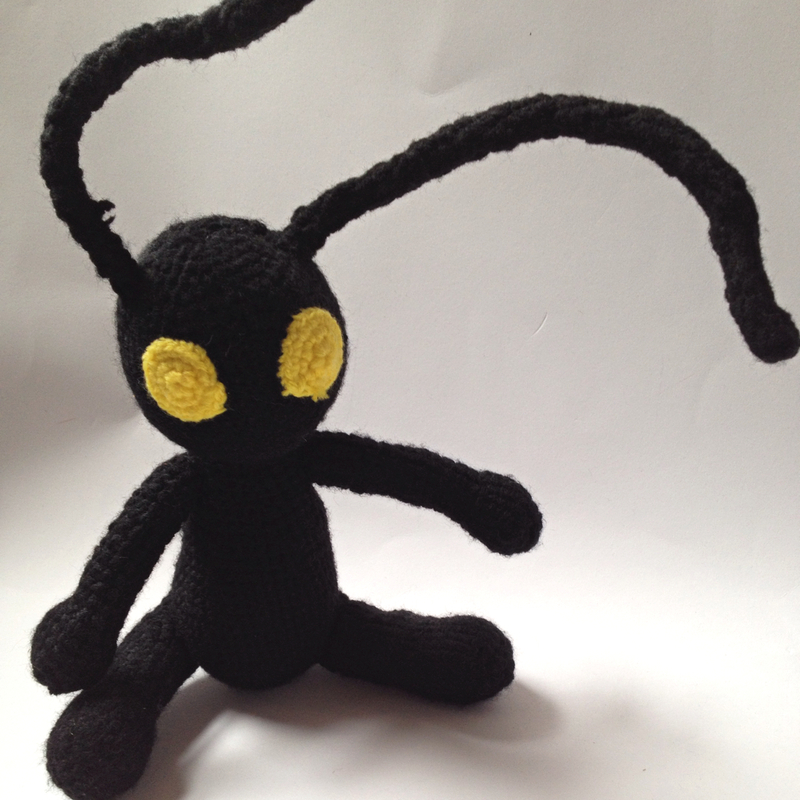 Heartless are the main enemies in the first game, and continue to be monsters you fight in the later games, and so even though you are supposed to dislike them some of them do have a cute look to them that transfers really well into crochet! 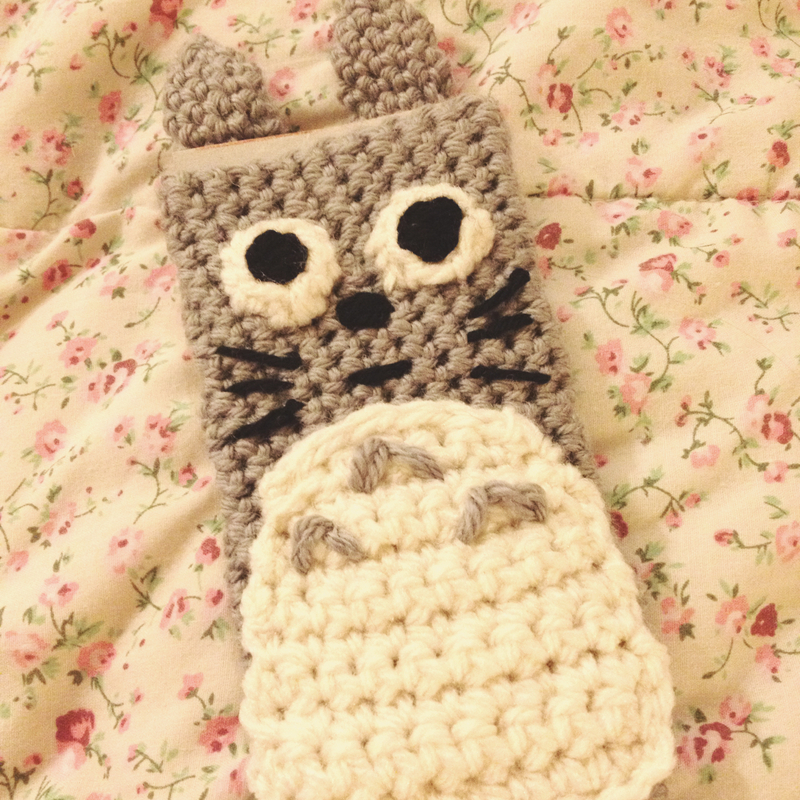 After learning to crochet I wanted to get straight to making Pokemon, but couldn't afford to buy all the different colours at the time. However Heartless are all black with just yellow eyes, and so this guy was a lot cheaper to make. 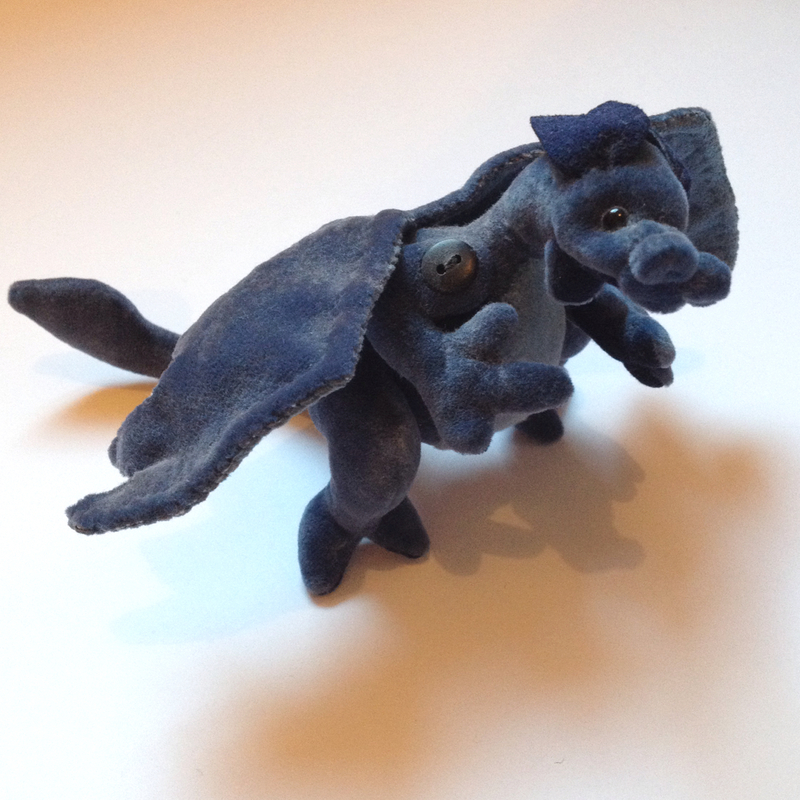 If you fancy having a go at making this guy (be warned, crocheting exclusively in black is pretty difficult, but easy to hide mistakes) use this pattern which I managed to locate again, some years later, to share with you, and make sure you have some pipe cleaners for the heartless' anntenae!